AdaptIVe aims to leverage efficient and safe automated driving. In addition to technological aspects, the research activities focus on an ideal cooperation between the driver and the assistance system as well as on legal issues which impact successful market launch. EuroFOT is the first large-scale operational test for ADAS in Europe. The project's goal is to identify and coordinate an in-the-field testing of new Intelligent Vehicle Systems to improve the quality of European road traffic. The vision of interactIVe is accident-free traffic realised by means of affordable integrated safety systems penetrating all vehicle classes, and thus accelerating the safety of road transport. The project develops advanced driver assistant systems (ADAS) for safer and more efficient driving. interactIVe introduces safety systems that automatically brake and steer. RobustSENSE develops a robust and reliable sensor platform for automated and assisted driving, working in harsh environmental conditions. By combining several independent subsystems the platform leads to an integrated and comprehensive solution of a self-correcting system. Therefore, RobustSENSE will essentially contribute to enhanced road safety with a more reliable, secure and trustable sensing system. On the Test Area of Autonomous Driving Baden-Wuerttemberg, companies and research institutes can test future-oriented technologies and services related to connected and automated driving. Future users have the possibility to actively participate in the design and infrastructure of the test area. The „Strategy for Automated and Connected Driving“ of the Federal Government has set the goal of securing Germany's pioneering role in these technologies. The coordination centre of VDA provides a network for industry and politics and creates a program framework for long-term strategic research and a coherent and convergent technology development. DRIVE C2X establishes a reference for cooperative driving in Europe by bringing together seven national test sites and creating a harmonized testing environment for C2X technologies. The results of this large-scale testing environment are used to raise awareness among the general public; it provides feedback for standard organisations and for initiating public-private ventures. The COHERENT project aims to address the problem of exponential growth of mobile traffic and increasing network complexity by researching, developing and validating a novel control framework for future mobile networks. The key innovation of COHERENT is to develop a unified programmable control framework to coordinate the underlying heterogeneous mobile networks as a whole. 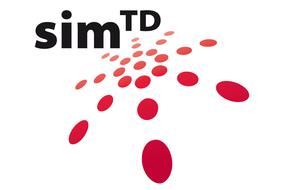 The simTD-project investigates the possible contribution of intelligent communication systems to improving traffic safety and mobility. It isby means of one of the world’s largest field operational tests in Germany. TEAM advances vehicle-2-x communication technologies by LTE integration and with an automotive cloud to support decentralised traffic applications. Taking these technologies into consideration, the project develops proactive algorithms to enable behavioural change to improve transportation networks. The focus of Tech Center i-protect is the close cooperation between industry and science on vehicle safety issues and future mobility. The cooperation of the industrial partners with leading science partners in the field of passive safety results in innovative bilateral and multilateral projects and continues to create research trends in this field. UNIFY pursues an open innovation environment for telecommunication services leveraging on both networking and cloud resources. The project creates a platform for users and service providers to develop, build, deploy and operate their own rich and interconnected services. The overall objective of the Future Study is to take a closer look at the techno-economic and societal changes due to digitization. The study covers expert and user panels and works interdisciplinary as well as cross-sectional. The results address decision-makers in politics and business alike. You can find the Future Studies in the download section of the EICT website. The eCo-FEV project proposes a general architecture for the integration of Fully Electric Vehicles (FEVs) into cooperative infrastructure systems and new solutions for charging. Hitachi Europe Limited, Bluethink SPA, CEA - Commissariat à l'énergie atomique et aux Énergies Alternatives, FCA-CRF, EICT GmbH, Energrid S.p.A., Facit Research GmbH & Co. KG, ISERE - Conseil Général de l’Isère, Politecnico di Torino, Groupe Renault, Schulz-Institute for Economic Research and Consulting GmbH, Technical University of Berlin, TECNOSITAF - Società Italiana per il Traforo Autostradale del Frejus S.p.A.
Industry and science are collaborating in research on key issues of the energy transition and future mobility solutions. Mobility2Grid is located on the EUREF campus in Berlin as a city district and test area of the future.